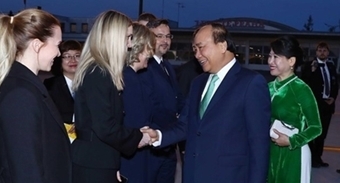 Prime Minister Nguyen Xuan Phuc has urged the administrations and people of Tay Nguyen (Central Highlands) localities to work harder to preserve and promote the value of their gong culture as well as other traditional practices and religious rituals. 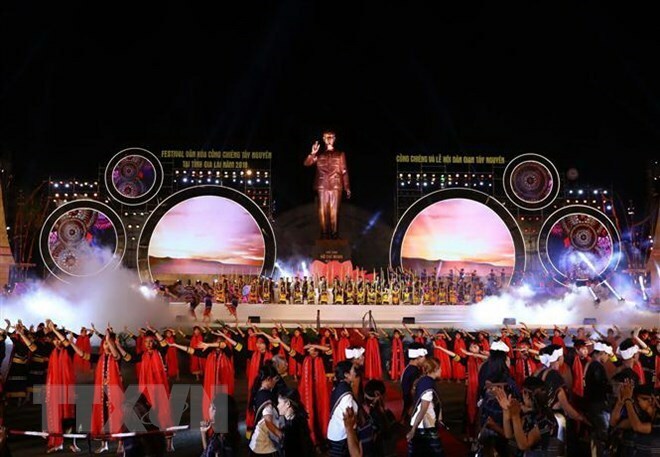 Addressing the opening of the Tay Nguyen Gong Culture Festival 2018 in Pleiku city of Gia Lai province on November 30, the PM said that the gong culture is a treasure in the cultural heritage of the Vietnamese people and humankind as a whole. The Party and State entrust the local communities of Tay Nguyen with the task of preserving the natural environment, the ecosystem and cultural values of the region, which is also a condition for the existence and development of the gong culture, he said. The PM highlighted the development vision for Tay Nguyen to become a hub of organic agriculture with biodiversity and rich culture tradition. Tay Nguyen must become a symbol of Vietnam’s tourism with its mysterious charm in the 21st century, he stressed. The festival draws nearly 1,200 artisans from five regional provinces - Kon Tum, Dak Lak, Dak Nong, Lam Dong, and Gia Lai. The two-day event aims to honour the unique value of Tay Nguyen gong cultural space as well as the diversity of traditional cultures of ethnic minorities in Tay Nguyen. Visitors to the event will have chance to enjoy street coffee festival and signature dishes of Tay Nguyen. The Cultural Space of Gong of Tay Nguyen was recognised by the UNESCO as a masterpiece of the oral and intangible heritage of the humanity in 2005. It is closely linked to the daily life of local people. Their belief systems form a mystical world where the gongs produce a privileged language between men, divinities and the supernatural world. Currently, Tay Nguyen has more than 10,000 sets of gongs, over one half of which are kept in Gia Lai province.